This is a short summary of events that led to the revolution against the British in Dublin, Ireland, for Irish independence in the year 1916, six years before establishing the Irish Free State. 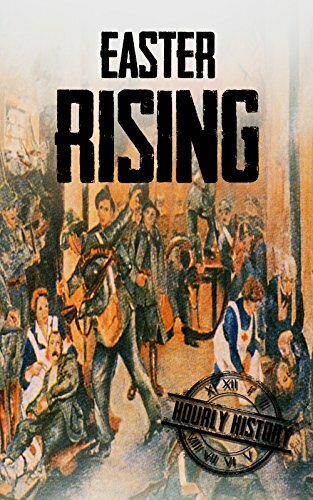 The book starts giving a background to Ireland’s union with the United Kingdom, which was, in fact voluntary but owing to the British policies in the constituent country, the Irish turned out impoverished and vulnerable and was very badly hit by the potato famine. The book then goes on to talk about the religious divide between Protestants and Catholics, where the former were the elites of the country and they happened to be Unionists while the latter were the majority. Eventually, exploiting Britain’s focus on the First World War, the Irish Volunteers decided to seize the opportunity by launching a rebellion in Dublin against the British forces. The book started by establishing how a failed revolution doesn’t mean that the revolution has failed, citing how the failure in the Easter Rising laid the foundation towards the independence of the Republic of Ireland. So, it was interesting that in a short book, they were trying to establish a very interesting thought. Additionally, the events leading to the revolution and how the revolution was handled, the various factions, what turned the public sentiment in favour of the volunteers was all documented very well. Considering that this is quite a less known event in other parts of the world outside Europe, the book was highly informative on how the revolution was carried out, how the funds flowed from extended families in the United States and of course and how the revolution was planned. The only aspect what I felt the book could have touched upon was as to whether the majority of the nationalists wished for pacifist activism or nearly everyone were hoping for an armed revolution someday; the gradual tilt in the society was captured but what was their initial frame of mind, at the juncture of war was hardly done so. I felt the book satisfied the purpose of imparting history in an hour and is an excellent read. I would award the book a rating of seven on ten.